What is the difference between NVL and COALESCE? How do I get my query results paginated? Some time ago I was asked to assist in fixing or at least finding the cause of a performance problem. The application ran fine until the Virtual Private Database (VPD) policy was applied. Oracle claims there should be near zero impact on your application when you implement VPD, then how is this possible? 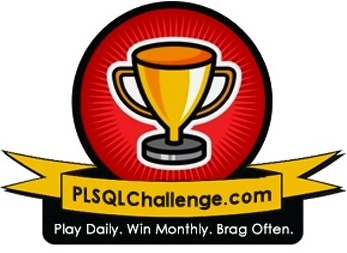 There is talk about Dot Qualifying Everything in your PL/SQL Code. But what are the pros and cons in this approach? At my current assignment I needed to create an update statement to copy data from one table to another. Quite a simple task, I would say, but an error or actually a constraint violation sent me the wrong way in finding my solution. Since some time I have been adding WHERE 1=1 to all my queries. I get queries like this: SELECT * FROM emp e WHERE 1=1 AND e.ename LIKE ‘A%’ AND e.deptno = 20 Lots of people ask me what’s the use of this WHERE 1=1.